There has been a lot of competition in the budget car segment recently due to finances being low and the introduction of cheap Chinese imports. Major manufacturers needed to do some serious catching up to do to keep on to of things in this segment. Toyota has the Etios, VW has the Vivo and Nissan has the Micra. 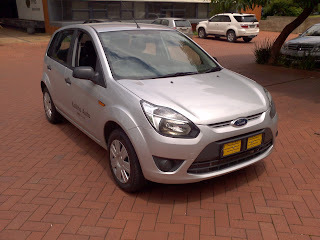 The one we are looking at today is the Figo from Ford. Jay from our office got the 1.4 Ambiente as a courtesy car. Derived from the old model Fiesta, which has been given a face lift and is now called the Figo. 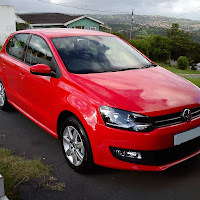 The car looks neat and compact, but not too small, it's a good looking car as well. The Figo comes with colour coded bumpers but not mirrors and door handles. 14" steel wheels are standard and covered with wheel caps. Inside you will get cloth covered seats and plastic moulding everywhere. But it doesn't look cheap, the interior is put together nicely, and it looks solid. The only let down that I found was that the driver and passenger door pads have gaping gaps in them when you look at it from the side when the door is opened. I compared it to another Figo and found the exact same problem, looks like Ford didn't want to spend any money to correct the problem and just ran with it. Never the less, once the door is closed you won't notice it at all. Airconditioning and power steering are standard comfort features and you also get an MP3 CD/Radio, the aircon proved to be quite powerful. All windows and mirrors are manual. There is also a dash display that will show you your distance to empty. The cabin was also very spacious, providing sufficient leg room all round. On the safety side there is ABS and passenger and driver airbags. We took a drive around the Umhlanga area and put the Figo through its paces. The 1.4 litre engine proved to be a good match to the size of the Figo. Generating 63kw and 127nm of torque. While running through the gears I realised that I was actually having fun driving this car. It's nippy response and handling was addictive and just made me want to drive some more. I can guarantee it that you will have fun with this one. Fuel consumption is listed at a low 6.6l/100km, but the Figo actually achieved 6.3l/100kms at the Total Economy Run 2012. 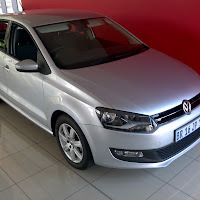 Being a major brand car I was surprised that you can get one for under R110000. You will also benifit from a low insurance premium due to price and risk. There is no service plan, but you can get one for +-R6000. Don't be put off by this, as you may only need to service your Figo once a year due to the 20000km service interval, so it's not really necessary to have one. There is a current Blue Sky Offer where you will get a 3 year 60000km service plan for the price of R113000 (November 2012). You will get a 4yr/120000km warranty. Bottom line, it is a brilliant car that is comfortable and fun to drive. 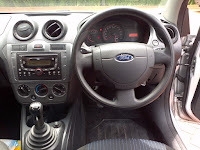 I love Ford Figo.After a long time a hatchback has come which can rule for years.It looks very subtle,compact and modern by looks.Ford has revived its Indian mission by launching new Figo. Absolutely shocking, I am disgusted with the fuel usage which is supposedly economical which everyone I have spoken to has complained about and now the ignition barrel has gone with not even 60 000km done on my car which as per the AA was advised common problem as well!